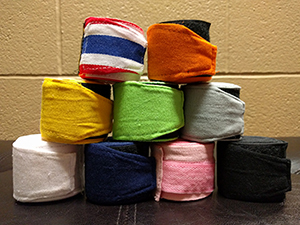 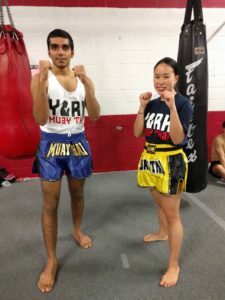 York Muay Thai has two colours of uniform shorts: Yellow (beginner) and Blue (intermediate). 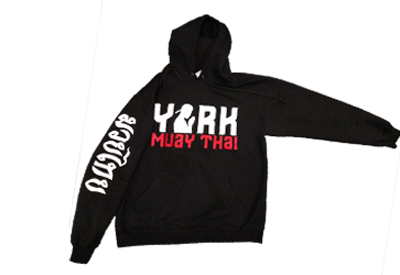 Both colours are available at YMT for purchase. 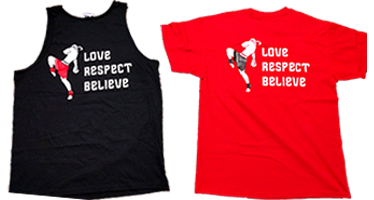 Additional colours and styles are available for purchase as well. 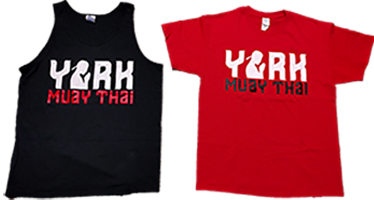 Also available are YMT t shirts, tank tops, hoodies and track jackets. 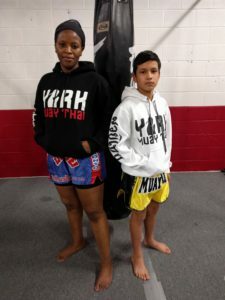 You will be able to train comfortably no matter what the weather forecast.